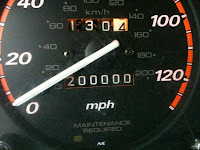 It is a milestone... or mileage stone, indeed! My husband loves, loves, loves tracking things. He used to have a mental game he'd play with his odometer. His challenge was to see the mileage turn over at every one hundred miles. He's given up this practice but his record was 13 times or 1,300 miles, consecutively, when he retired from this mind game. Of course, we had to take the long and winding way home because he wanted the odometer to be at 200,000 when we pulled in the driveway. We also had to switch places, because I was driving and I really wanted him to be at the wheel when it happened. While it was fun to 'be there'.... I sure am glad my bladder cooperated! I really love my handsome man! Hey Ruth I came across your blog somehow and it really made me miss you. I am glad I can now keep tabs on you though. 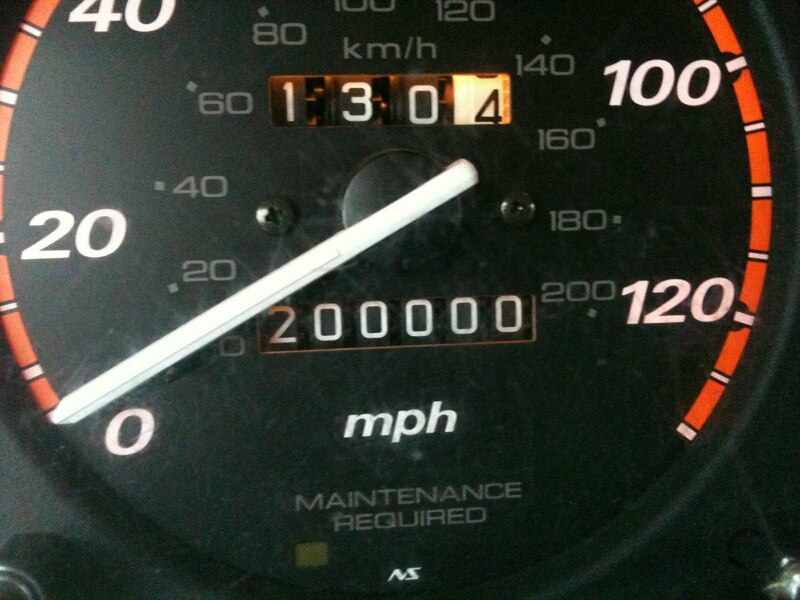 200,000 miles wow thats great, is it an old car or do you drive places a lot?